These days, it is practically impossible not to hear about some aspect of transgender life. Whether it is the bathroom issue in North Carolina, trans people in the military, or on television, trans life has become front and center after years of marginalization. And kids are coming out as trans at younger and younger ages, which is a good thing for them. But what written resources are available to parents, teachers, and mental health professionals who need to support these children? 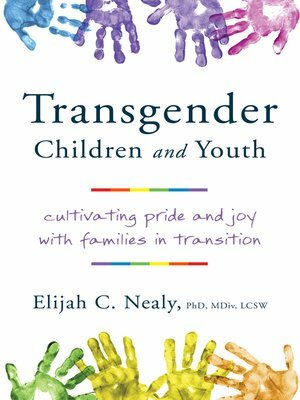 Elijah C. Nealy, a therapist and former deputy executive director of New York City's LGBT Community Center, and himself a trans man, has written the first-ever comprehensive guide to understanding, supporting, and welcoming trans kids. Covering everything from family life to school and mental health issues, as well as the physical, social, and emotional aspects of transition, this book is full of best practices to support trans kids. Elijah C. Nealy, PhD, MDiv, LCSW, is assistant professor in the Department of Social Work and Latino Community Practice at the University of Saint Joseph in Hartford, Connecticut.